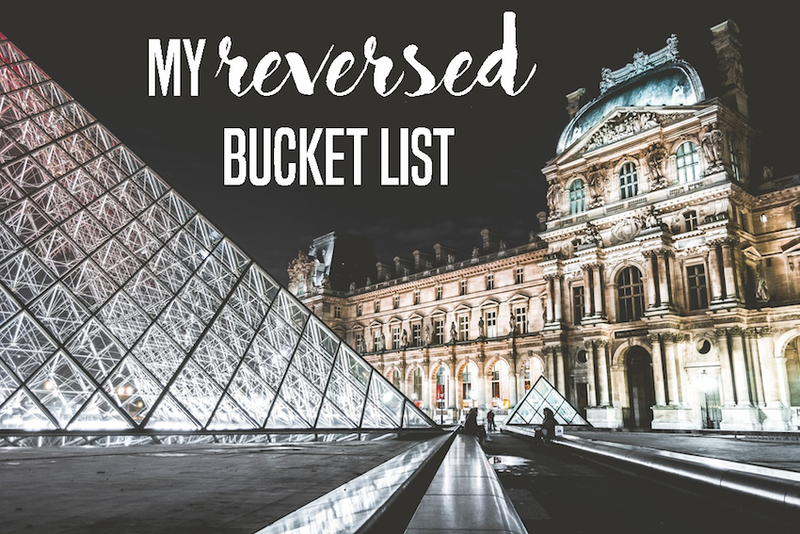 MY REVERSED BUCKET LIST: 23 THINGS I ALREADY DID | RAWR BOWS. A few days ago I was catching up on all my favourite blogs when I found this little gem written by Aliah. She wrote a reversed bucket list. Instead of making a list of all the things she wants to do or accomplish in life, she wrote a list of all the amazing things she'd already done. I think this is such a brilliant idea and it encourages us to live more in the moment and to appreciate what we have been lucky enough to experience - something I rarely remember to do. Hence, here are 25 things I have done in the last 20 years. 1. Graduated from high school. 2. Travelled to South America. 6. Eaten pizza in Italy, several times. 7. Finished two years of university. 8. Read all the Harry Potter books. 10. Been to a One Direction concert (no shame). 12. Lived in my favourite city. 13. Learnt to play the piano. 14. Walked under the snow. 15. Been to a world premiere of one of my favourite movies. 16. Visited Disneyland and loved every minute of it. 17. Eaten macaroons in Paris. 18. Lived in two different centuries. 20. Eaten chocolate in Belgium. 21. Found out who A was (or so we believe, but who knows). 22. Gone skiing and didn't break anything.